The U.N. Security Council unanimously adopted a resolution Saturday imposing limited sanctions on North Korea for its recent missile tests and demanding that the reclusive communist nation suspend its ballistic missile program. The resolution bans all U.N. member states from selling material or technology for missiles or weapons of mass destruction to North Korea — and it bans all countries from receiving missiles, banned weapons or technology from Pyongyang. North Korea said it "totally rejects" the resolution and vowed to continue missile launches to bolster its self-defense. North Korea's U.N. Ambassador Pak Gil Yon accused the U.N. Security Council of trying to isolate his country, known officially as the Democratic People's Republic of Korea, or DPRK. The Korean People's Army "will go on with missile launch exercises as part of its efforts to bolster deterrent for self-defense in the future, too," he said. "The delegation of the Democratic People's Republic of Korea resolutely condemns the attempt of some countries to misuse the Security Council for the despicable political aim to isolate and put pressure on the DPRK and totally rejects the resolution which was adopted at the current meeting of the Security Council," he said. South Korea said that it supports the resolution, and called on its communist neighbor to reinstate a moratorium on launches. "North Korea should accept the severe and unified message of the international community that was confirmed through adoption of the Security Council resolution and refrain from aggravating the situation," the South Korean Foreign Ministry said in a statement. "We urge (the North) to abide by the moratorium on missile launches," the statement said, referring to North Korea's previous self-imposed ban. The North broke the moratorium earlier this month by testing a long-range missile that failed shortly after launch, along with six other short- and medium-range missiles. The Security Council agreement culminated 10 days of difficult negotiations and was reached after a last-minute compromise between Japan, the United States and Britain — who wanted a tough statement — and Russia and China, who favored weaker language. In the final negotiations, the council was divided on one issue: If the resolution should be adopted under Chapter 7 of the U.N. Charter, which allows for the use of military force to make sure the resolution is obeyed. China had threatened to veto any resolution that mentioned Chapter 7 and in the final compromise it was dropped. The resolution adopted Saturday by a 15-0 vote states that the Security Council was "acting under its special responsibility for the maintenance of international peace and security." Japan, which views itself as a potential target of North Korean missiles, sponsored the initial resolution, but it was put to a vote as a presidential text, with the support of all council members. "Reaching consensus on the North Korea Resolution at the Security Council has been driven by Pyongyang's rejection of diplomatic overtures of both China and South Korea," said CBS Foreign Affairs Analyst Pamela Falk from the U.N.
"Japan and the U.S., joined in the final vote by China and Russia, succeeded in their effort to send a message to a defiant North Korea to get back to the six-party talks and to stop the missile launches," added Falk, "and the hope was always to reach agreement before the G-8 meeting in Russia." "The council has acted swiftly and robustly in response to the reckless and condemnable act of the Democratic People's Republic of Korea," Japan's Vice Minister for Foreign Affairs Chintaro Ito told the council. North Korea set off an international furor earlier this month when it tested seven missiles, all of which landed in the Sea of Japan without causing any damage. The launches apparently included a failed test of the long-range Taepodong-2 – a missile that could eventually threaten the continental United States. The resolution condemns North Korea's multiple missile launches on July 5 and demands that North Korea "suspend all activities related to its ballistic missile program." 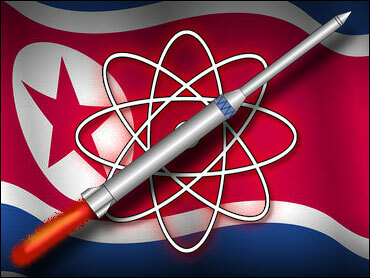 It also demands that Pyongyang re-establish a moratorium on missile launching. The Security Council strongly urged North Korea to return to six-party talks on its nuclear program which have been stalled since last September. U.S. Ambassador John Bolton said the United States looks forward "to North Korea's full, unconditional and immediate compliance with this Security Council resolution." "It sends an unequivocal, unambiguous and unanimous message to Pyongyang: suspend your ballistic missile program; stop your procurement of materials related to weapons of mass destruction, and implement your September, 2005 commitment to verifiably dismantle your nuclear weapons and existing nuclear programs," he told the council. But, the impact of the Security Council's action might have an impact beyond Pyongyang. "The unanimous vote at the Security Council on North Korea certainly sends a message to Iran that the world powers can work together and that the United Nations can be effective in sending a united message," said Falk, "and in a sign that the U.S. wishes to work with China, Ambassador Bolton wore a tie of the Beijing Olympics to the vote." "The bigger challenge will be if the U.N. can find consensus on a ceasefire in the Middle East."